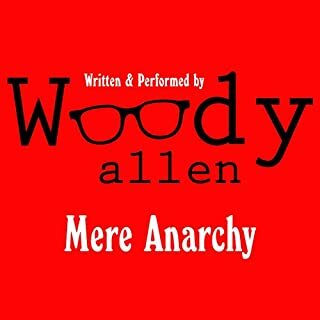 For the first time ever, hear Woody Allen’s Mere Anarchy in the author’s own distinctive and hilarious voice. Here, in his first short-story collection since his three classics Getting Even, Without Feathers, and Side Effects, Allen has managed to write a book that answers the most profound questions of human existence. I've read some bad reviews. I'm confused. If you need a laugh track to play while you listen to humor, why choose Woody Allen? This is him, Allen at his absurd, dry best. “Believe me” may be the most commonly used phrase in Donald Trump’s lexicon. Whether about building a wall or protecting the Christian heritage, the refrain is constant. And to the surprise of many, about 80 percent of white evangelicals have believed Trump. Historian John Fea is not surprised - and in Believe Me he explains how we have arrived at this unprecedented moment in American politics. 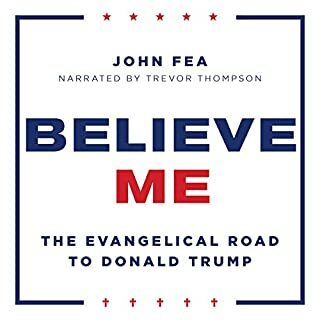 In this audiobook, Fea challenges his fellow believers to replace fear with hope, the pursuit of power with humility, and nostalgia with history. The Surprising History of American Christianity. Since 2016, it's been in a confusing cyclone of grief & horror: evangelicals elected Trump and shoved a blade through the heart of Christian charity. I haven't gone to church after Trump altered statutes stopping pastors endorsing candidates from the pulpit. Thank you John Fea for grabbing the confusion from my head, research it then expressing my turmoil in a calm, cogent way. Whew. Now I knew other Christians feel the disparity between Christian teachings & current Christian behaviors like...well...rabid anger? The author displays the larger picture yet details American Christian history, explaining America's wild ride with religion. Everything on populism and its relatives. The word is overused, misused. 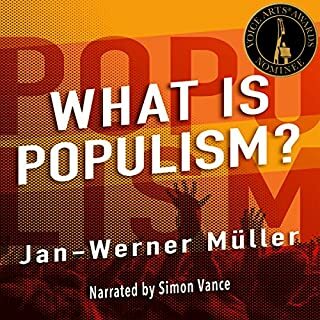 Although no single definition owns it, the label 'populism' desperately needs the solid, specific references in this book to grasp its meaning. Also, it explains tons of political terminology, especially their definitions in the U.S. as compared to Europe. I've never learned so much from a single book, much less enjoyed it. Life, minus the fear, panic and worry. Mr. Tolle introduced us to living in the, the present, 'The Now'. He opened the door to it so we could walk around in that moment. But just for a moment. Then he invited us to live there. For me, the realization that neither the past nor the future actually exist, was profound & enlightening. So, when I downloaded this book, I didn't think it could rival his other work. I just finished From Stillness to Presence & my mind is blown all over again. 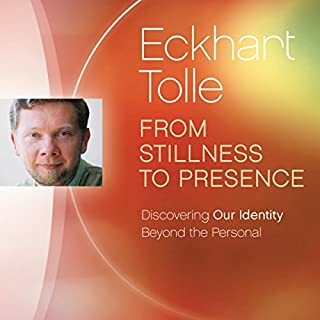 Eckhart Tolle succinctly presents a completely new level of peace. A simple way to lift out of life's daily burdens by shifting how we experience our minds. How to witness the constant running commentary going on in our heads, so that we can quiet it. And to see how much power we've been giving that narrator, who is often unkind to us.